Story blurb: In 58 BC, Julius Caesar tried to conquer the Celtic world. One man stopped him. 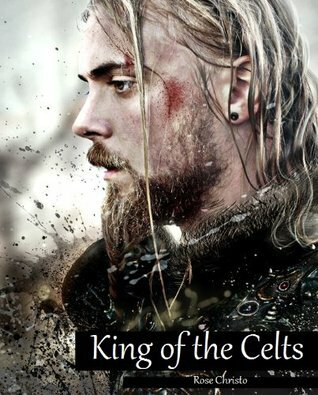 The King of the Celts, by Rose Christo [publisher not listed, Sept., 2013] is the second of Christo’s novels I have reviewed—the other being Gives Light – https://gerrycan.wordpress.com/2013/02/18/gives-light-gives-light-1-by-rose-christo/—and two more different stories I cannot imagine: the latter being shorter, more controlled, and the former being an epic-length adventure that at times rambles somewhat uncontrollably. The basic story tells of how the main character loses his whole family to Julius Caesar’s invasion of Gaul during the latter half of the first century, B.C., but then rallies the Gaulish Tribes to form a resistance, similar to Ambiorix in 54-53 B.C. It is a fascinating period in history, populated by a fierce, primitive people, pit against the forces of Rome at the zenith of its power. A David-and-Goliath story that has all the elements to appeal to a variety of readers. So why was I basically disappointed? I suppose it was because I have seen better from this writer. I loved Gives Light. There was an intimacy between the author and the main character, Skylar, that one could sense, and so the events of the story orbited around this strength. It was solid story telling based on a solid understanding of the characters and setting. I didn’t get the same sense here. My impression was that this is almost an academic exercise based on bits and pieces of research, cobbled together to form a story. Nonetheless, there are some quite admirable things one can say about it. For the most part the journalism is beautifully executed, with a poetic flair that enhances every scene to the max, and the story line is good—even heroic at times. Moreover, the shear effort required to write a novel of this length is equally remarkable. Overall, I would say it is worth the price of admission, and based on her past writing I would invest in this author again. Three bees.